Belonging to the family, Brassicaceae, kale has been rediscovered as a superfood. It is mostly rich in lutein, folate, vitamins A,C, E and K, magnesium, iron and contains a load of anti-oxidants. It originated around the Mediterranean and was grown for many centuries until the Middle Ages. In more modern times, it became popular in post-war periods because it was easy to grow and very nutritious. 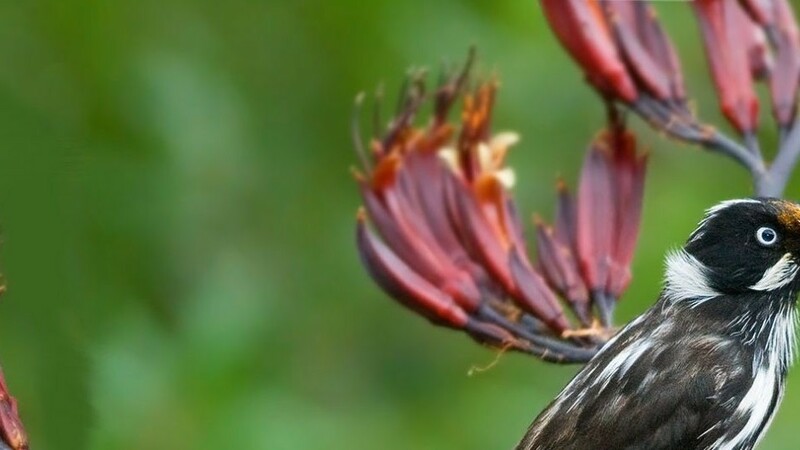 However, in the USA ornamental varieties were favoured for use in floral arrangements – even wedding bouquets – and it even has its own national day, the first Wednesday of October. Black Toscana (Cavalo Nero – pictured above), a long dark-green/blue leaf variety. In temperate areas, all three varieties of kale like full sun. But in hotter regions, part shade will assist its growth. 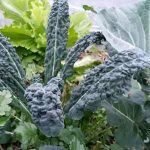 Also, being a winter vegetable, kale can tolerate mild frost, with Red Russian still able to thrive and survive at a temperature of -10 degrees C. Actually, frost tends to intensify its sweetness. Kale, like many vegetables, prefers a well-drained soil, rich in organic matter. However, its pH range is a little towards the acidic side with a preference for a pH of 5.5 – 6.5. If your soil is rich in clay you might add some sand and compost. If it is very sandy, try adding powdered bentonite clay or compost. Actually, compost is the magic ingredient for any soil! Another useful addition to sandy soil is coir peat (ground coconut fibre). Coir is available in blocks which expand when soaked in water and will hold moisture when added to soil. 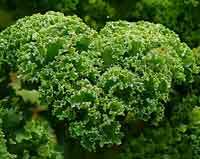 Since kale is a leafy green, it needs a rich nitrogen source to thrive. A green manure crop planted and dug in before planting kale is ideal. Or aged manures, pelletised chicken manure or “blood and bone” are important soil additions, but make sure you don’t overdo them – little and often is the way to go. Drinks of fish emulsion and seaweed extracts during the growing season will provide both food and moisture. Although kale is a winter vegetable and drying out is not such a problem, regular watering is required to provide the moisture it requires. Mulching around plants will protect the soil from moisture loss. For most varieties harvest can start after around 7 – 8 weeks. If there are too many leaves for your household, take them to your local Harvest Swap, feed them to your chooks or add them to your compost heap or worm farm! 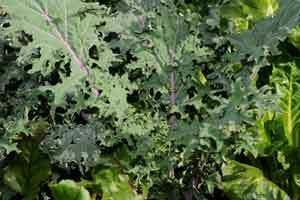 Kale is generally pest-resistant, but can fall prey to cabbage aphids, harlequin bugs and cabbage white butterfly. 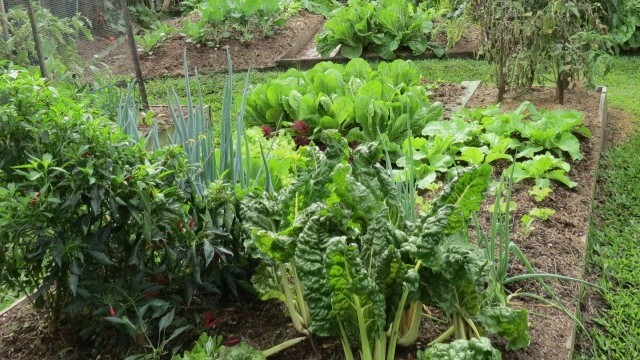 The best way to deal with such pests is to prevent them by crop rotation, keeping the soil healthy and encouraging predatory insects into the garden by including flowering plants. But if all that fails, try hosing small ones off and picking caterpillars and larger bugs off and dropping them into a bottle containing soapy water. Rhubarb, onions, cucumber, beets, celery, marigold, nasturtium, herbs (sage, dill, camomile). Climbing beans, mustard, strawberry or members of the nightshade family (tomato, chili, capsicum, eggplant). There are many recipes now for kale. When used raw it needs some extra attention to reduce bitterness. This may be by chopping it finely into well-dressed salads or including it in a smoothie with nut milk and fruit. However, it has a delicious savory flavour when chopped and baked to make “chips” or steamed, sauteed or stir-fried with garlic or onions. Just search online for one of the hundreds of recipes out there!